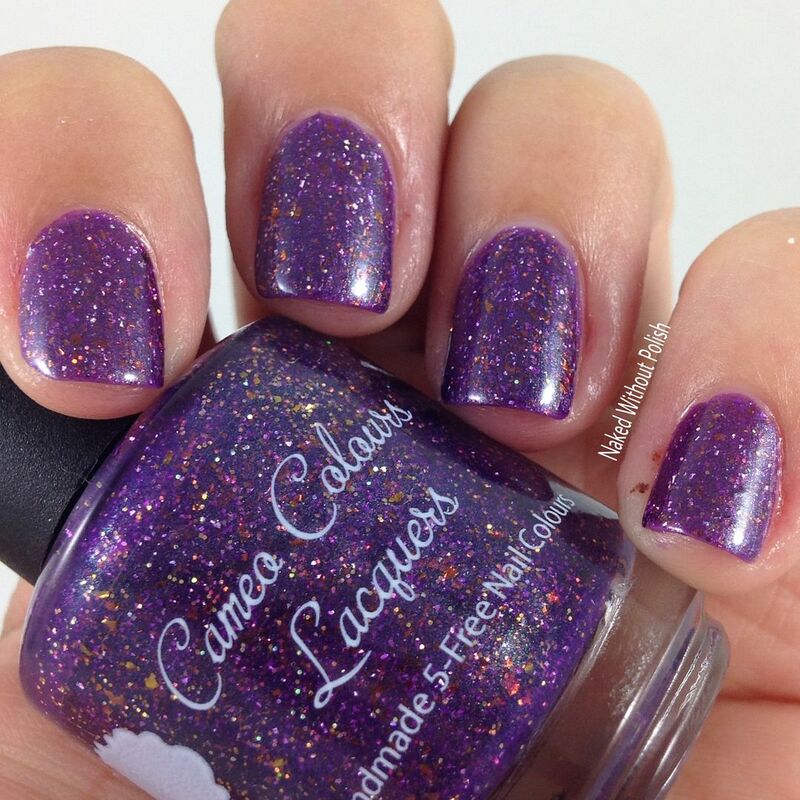 It's time for another Polish for Pit Bulls Duo from Cameo Colours Lacquers and Polish 'M!! This time it is their Halloween edition. These duos just keep getting better and better! Cameo and Michelle each went above and beyond with this one. I don't know where they came up with these combos but they are absolutely gorgeous and unique. You guys will get some absolutely incredible polishes and support some wonderful pit bull rescues. 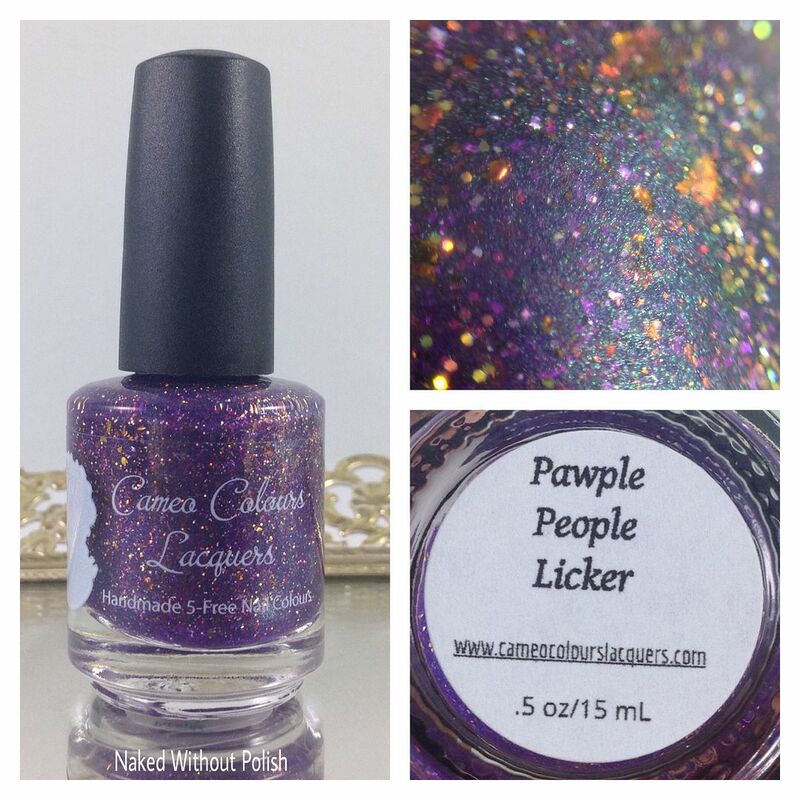 Pawple People Licker is described as "a purple jelly with a smattering of gold shimmer, holo micro flakes, red-bronze-copper ultrachrome flakies, and a slight green shimmer". 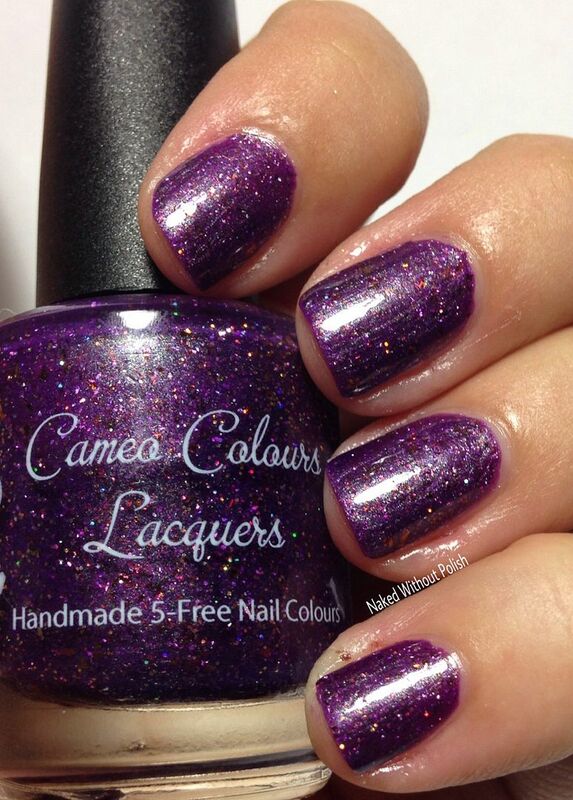 Shown is two coats of Pawple People Licker with top coat. Pawple People Licker has an incredible formula and application. Incredibly opaque in just two coats. 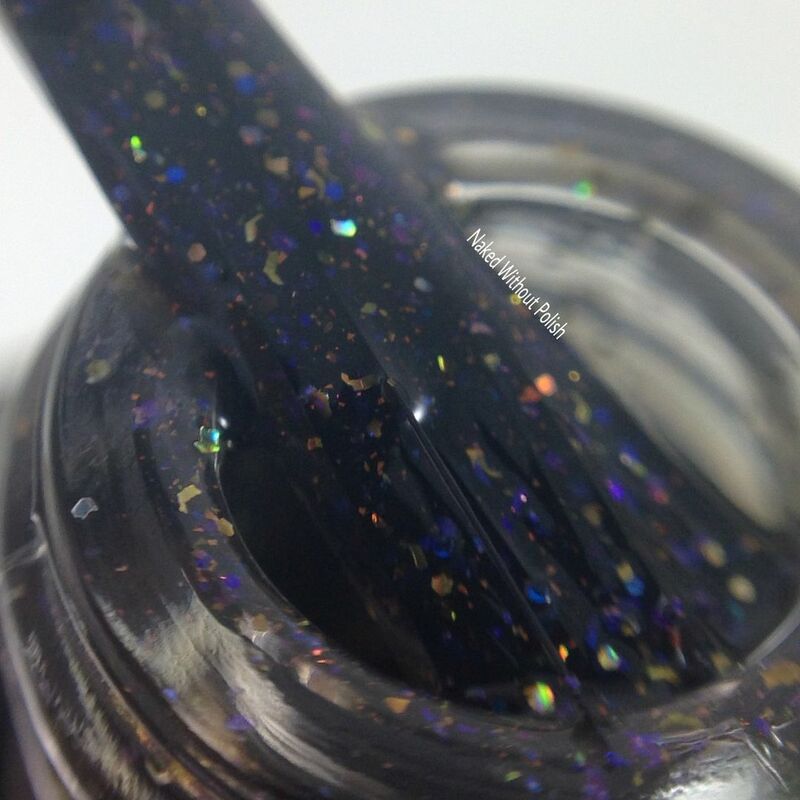 There is so much shimmer packed into this beauty it almost looks metallic. This polish brings me so much joy. I don't know what it is, but you just look at it and smile. The combo of colors and glitter is a lot of fun and incredibly unique. She nailed it! 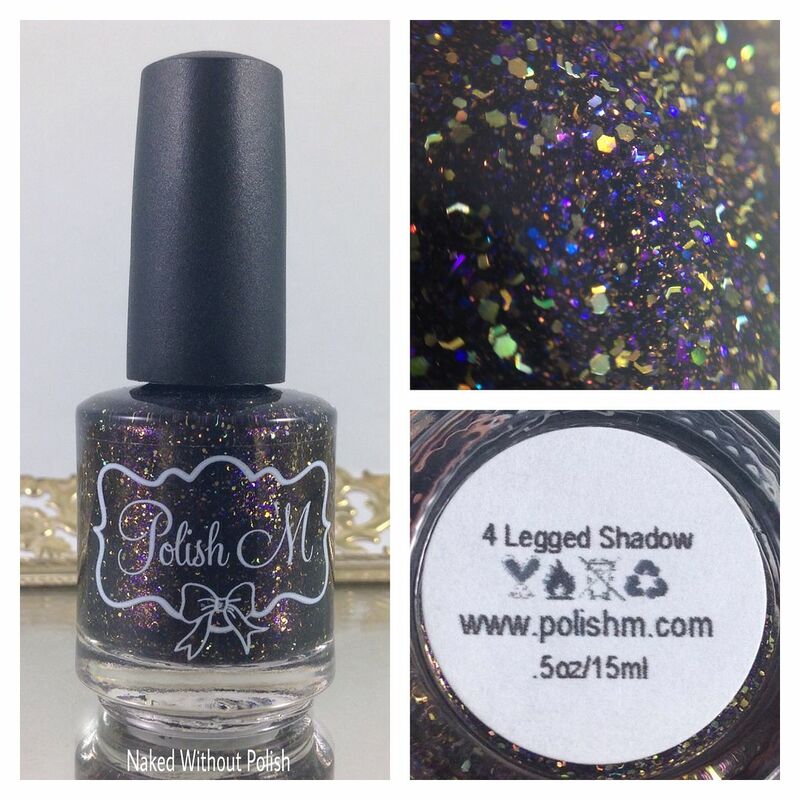 4 Legged Shadow is described as "a black jelly with copper sparks, neon purple micro flakies, gold mega holo micro glitter, gold holo micro shards, and a bit of purple/blue iridescent glitter". Shown is two coats of 4 Legged Shadow with top coat. 4 Legged Shadow is a black beauty you all are going to go crazy for! Packed with glitter but applies beautifully. 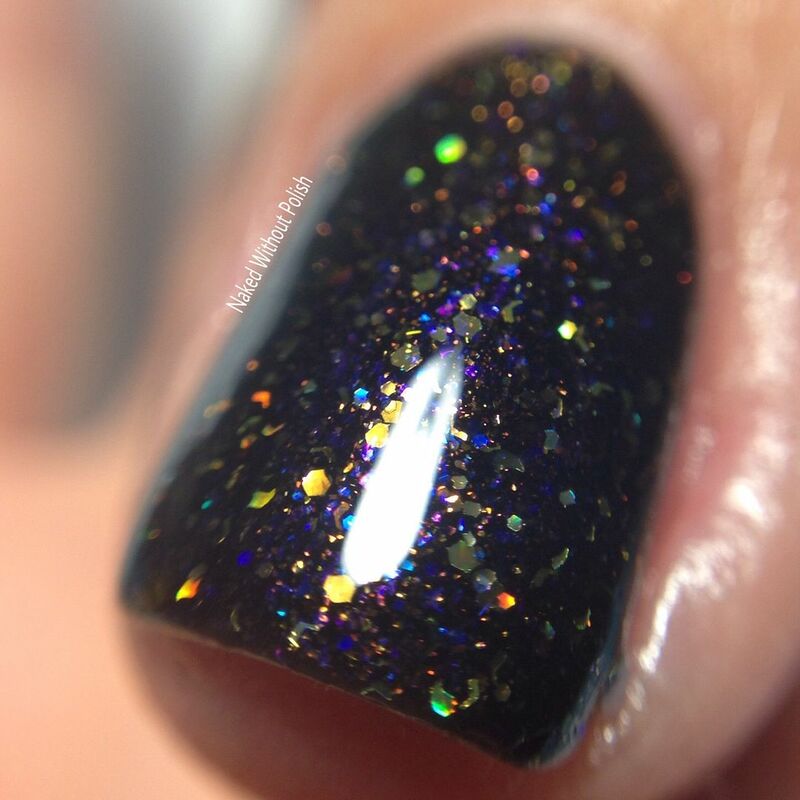 Two coats is all you need to have nails that will leave you captivated and mesmerized. 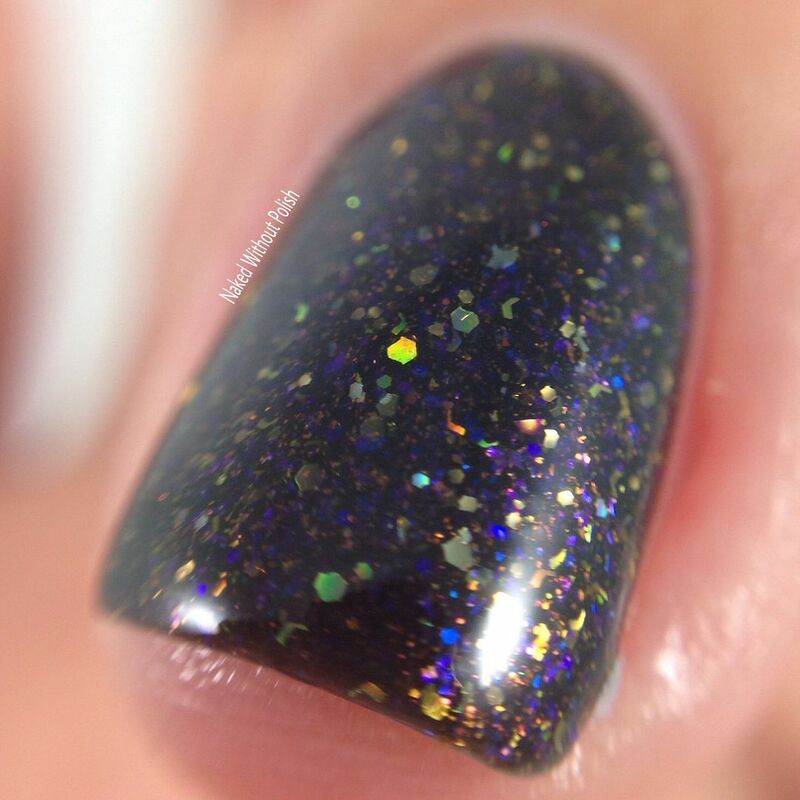 If you all know me, you know that I love all colors and types of polishes, but there is something about dark (specifically black) polishes that just does something to me. 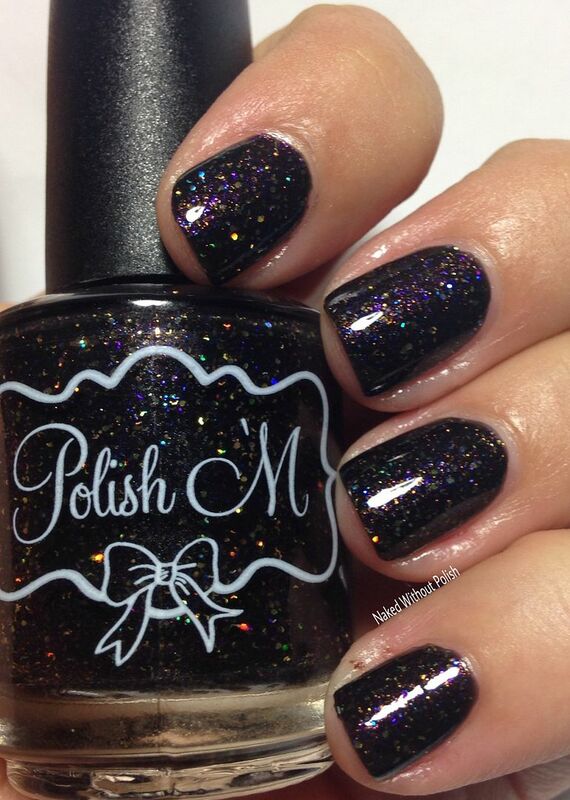 This polish does something to my soul that I can not explain. Just know that you need it. 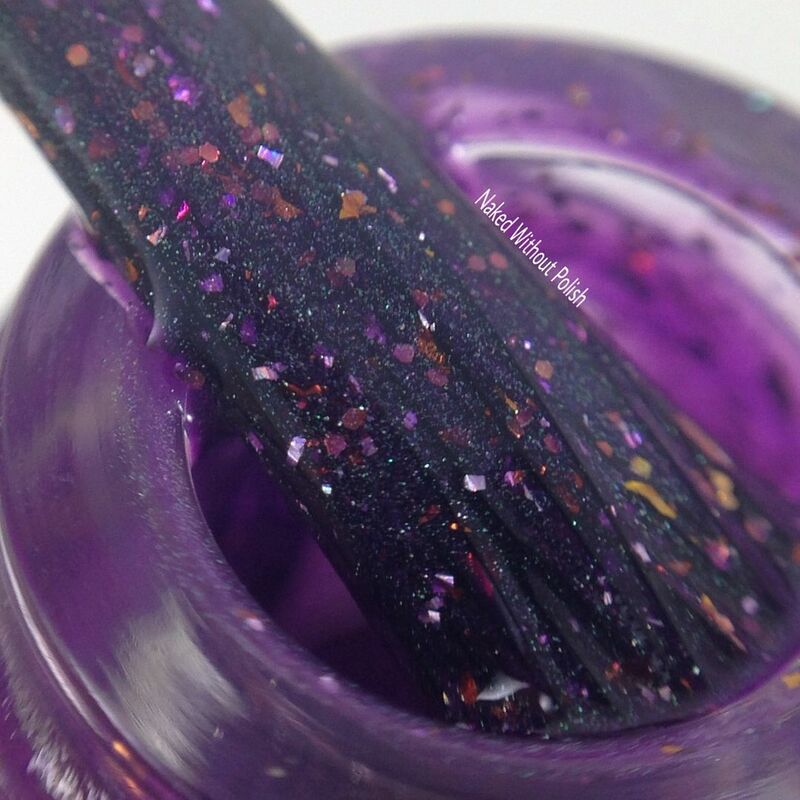 The Polish for Pit Bulls Halloween edition duo will be available to purchase from both Polish 'M and Cameo Colours Lacquers on October 1st at 11 am PST. Each shop will only have 15 sets for $20 each. $12 from each set sold will be split between Fresno Bully Rescue and Pit Bull Rescue Oklahoma. Do not miss out on this set. I highly recommend you fight for one of the 30 sets. This duo is something special. Make sure you are following both brands on all of their social media platforms (links below) to stay updated on news, releases, and sales. What do you all think of this duo? Will you be trying to snag one of these?